The LACURA® Naturals Anti-Aging Serum is a lightly scented, intensive moisturising cream to help boost skin elasticity. It contains ginger extract and silk proteins to help moisturise and condition the skin to help counteract skin aging. 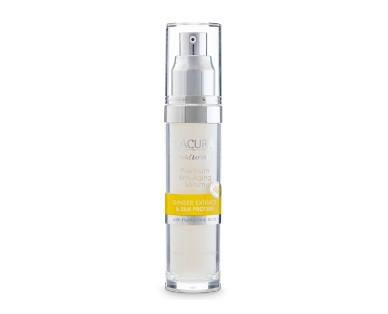 Contains hyaluronic acid to help plump the skin and increase elasticity.